The TRA Marketplace is an annual event hosted by the Texas Restaurant Association. Businesses get the chance to present aspects of their brand that make them unique–from mouth-watering meals to cutting edge technology. 2018 marks the 81st anniversary of the trade show, with people travelling from all over the world to see what the industry has to offer. Not only that, but it was the 300th anniversary for the city of San Antonio. The turn out for exhibitors was a little over 500, while visitors were estimated to be between 1000 and 5000. 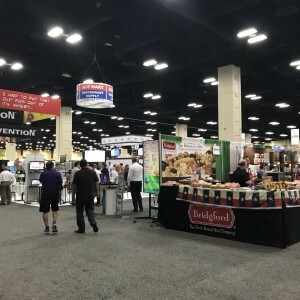 Newcomers that walked into the convention center were greeted by the wonderful aromas of food wafting from the rows of booths. Restaurants offered samples of hot, savory dishes and chilled, refreshing beverages. Despite the plethora of food, visitors would find themselves curious about the gentle lights emanating from the screens of a Point-of-Sale booth. Amber System Technologies (AST POS) created a lot of interest from visitors and restaurant owners alike. The company presented unique and affordable solutions such as the Self Ordering KEO kiosk with it’s EMV-ready solutions and order display systems. The easy-to-use POS software was also customizable, as the company has a local team of programmers ready to help match business needs. Visitors were especially impressed with their centralized database, which allowed the end user to control their sales and reports. Not only that, but the database enabled the user to synchronize reports from the their POS systems, kiosks, customizable apps, and even online orders. The Henry B. Gonzalez Convention Center, where the trade show was being hosted, is no stranger to the company. They have purchased a whopping 28 POS stations from long before the TRA Marketplace. Over 20 competing POS companies were unable to match the various capabilities that AST POS were able to provide. While some of their POS systems seemed satisfactory, many couldn’t offer a similar, versatile database. Some only focused on mobile ordering or payroll, while AST was capable of doing both. Many other solutions were standalone systems, and couldn’t integrate sales data with other systems of the same brand. Some could only offer their POS system on devices such as an iPad, therefore reducing the visibility and dynamics of their solution and increasing limitation on their software. 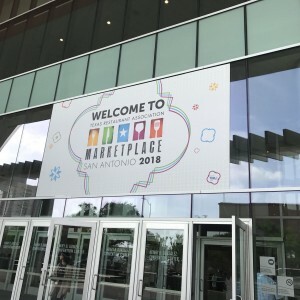 Overall, the TRA Marketplace was a great opportunity for our team to meet talented restaurateurs, resellers, corporate teams, and other people who could benefit from our technology. Our unified solutions will always be guaranteed to simplify business management and sales with less hassle and at an affordable price. 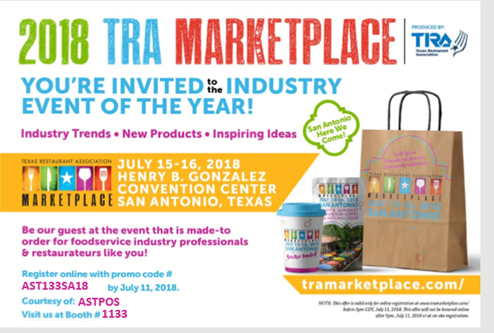 AST will be exhibiting on TRA Marketplace Show on July 15-16 at Henry B. Gonzalez Convention Center in San Antonio, Texas. Visit us at booth # 1133. Register online with promo code AST133SA18. Amber Systems Technologies ( AST POS), adds more EMV ready payments processing options which are certified by “Heartland Payment Systems” and “Velocity NorthBancard Payments” leading US processors with many years of expertise for the top of the line super fast 3 seconds EMV processing. 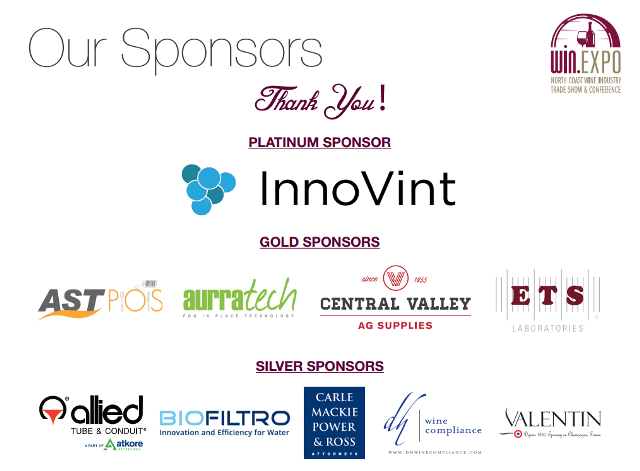 Pleasanton, CA—August 18, 2015— Amber Systems Technologies (AST), a leading developer of POS software for the restaurant, specialty retail, grocery and other industries, announced today it has integrated EMV chip card processing from Moneris Solutions Corporation (Moneris), one of North America’s largest payment processors and an EMV technology leader, into its popular Vigore POS restaurant management software. The integration enables Vigore POS users to begin accepting EMV credit and debit cards well ahead of the October 2015 liability shift of some types of card fraud from card issuers to businesses that don’t accept EMV chip cards. In addition, as more and more EMV chip cards are issued and more customers start paying with them, restaurants and retailers that use Vigore POS can be ready to accept the new cards. Utilizing a single software solution to manage all aspects of operations and also process credit and debit card payments helps to streamline operations, reduce costs and improve overall efficiency. Vigore POS software with integrated EMV chip card processing from Moneris is available directly through AST, or through a local Vigore POS reseller. AST will be exhibiting in Booth #1322 at the upcoming Western Foodservice & Hospitality Expo, August 23-25, at the Los Angeles Convention Center in Los Angeles, CA. In addition to live demos of Vigore POS, including the new EMV card processing function, AST and Moneris will be handing out free EMV resources and offering both a $200 EMV terminal rebate and $500 credit card processing rate guarantee to show attendees. Attendees that stop by the AST booth can also register to win a Genie all-in-one POS system, valued at $999. Join the New Era of Point of Sale Solutions. 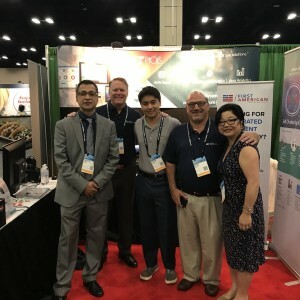 Since its inception in 2004, Amber Systems Technologies (AST) has been offering multiple platform software and hardware solutions to merchants and dealer networks worldwide. Our mission is to help business owners save time and money. We specialize in supporting busy operations with reliable products and services, and our payment services enable multiple premier merchant partners to add additional value to any size client. Vigore:Our popularVigorePOSsoftware for the restaurant, hospitality and retail industries is available in both Cloud and on-premise versions. A fully-optimized POS software that supports all types of restaurants, from QSRs to delivery to fine-dining, Vigore’s features include bar code printing/scanning, scale, time clock, client loyalty, inventory control and a multi-lingual interface. Vigore runs on Ubuntu Linux or Windows tablets as a stand-alone unit and allows for Android and iOS mobile device integration. Epic and Ambient: Our Epic software runs on Android devices while our Ambient software is for iOS-based devices. Both enable users to take orders at the table or in a drive through/quick service environment. Epic and Ambient can help any restaurant reach the next level and enhance their diner experience. Aura: Our Aura web-based software provides cloud-based analytics for multiple location operations, offering data metrics on the go for complete sales, expense and inventory control. As one of North America’s largest providers of payment processing solutions, Moneris Solutions Corporation (“Moneris”) offers credit, debit, wireless and online payment services for merchants in virtually every industry segment and processes more than three billion transactions annually. Moneris offers electronic loyalty and stored-value gift card programs. With more than 350,000 merchant locations, Moneris provides the hardware, software and systems needed to improve business efficiency and manage payments. For more information please visit www.moneris.com. AST POS Newsletter for all new exciting things happening with our team and AST resellers. July 2014: Come and visit AST at the Western Foodservice & Hospitality Expo at the Anaheim Convention Center in Anaheim, CA from August 17-19 to see the newest products being offered. 3rd June 2014: AST POS announces strategic partnership with WorldPay as a globally leading payment processing platform to enable wide range of platforms. Being as one of the world’s leading payment companies with products and services power commerce across the globe. Which also operates across the globe, supporting 120 different currencies and more than 200 payment types. 1. “Ambient Reservations” app to be launched in Apple App store and Google Play store. Free app version available for anyone taking appointments and reservations for their business. It can be Salons, Spas, Massage parlors, Nail and Hair salons, Pet Care or restaurants… Check out the new product release. 2. “Epic POS Lite” version to be launched on Google Play Store which is self contained app for order taking, processing, reports and much more. No need of dedicated Wifi or backend server, Use as you Go wherever you are, Freedom unleashed!! Check out for more details..
Stay TUNED and watch the action unfold this Summer of 2014. Prepare to encounter the best product upgrades based on customer demands being launched at major shows during the next few months. 1. See us in June at “Computex 2014″ in Taiwan at multiple booths. Visit to learn more or wait for the videos to be uploaded. 2. Visit us in June at “Texas Restaurant Association” Houston at AST booth for live product demo of new and revamped Android POS, Ambient Reservation app and much more in action. 3. Visit us in August at “Western Food Show” in Anaheim at AST booth for more product announcement and new Brothers International partnership program for innovative Label printing solution. Click here to see images from our trade shows! 1. We launch our complete action product line in Antigua island at upscale Holiday resort in famous Caribbean island for greater market reach. Pictures and videos be uploaded soon. 2. We launch another international client in South Africa for his multi operations store front with Coffee shop, Restaurant, Cosmetics, Retails. Pictures and videos coming up soon. 1. Strategic partnership program launched with Brother International for Label Printing solution for Pizza delivery, Retail bar code, Retail Shelf label print and much more. Amber Systems Technologies joins the Pleasanton Chambers of Commerce” apart from being the member of “Pleasanton Downtown Association”. We offer 10% discount to all the business members community of the above associations. Ambient POS App goes live on the Apple App store. It is FREE to download and use. It will seamlessly integrate with Vigore POS Pro and its Network printers.Take Orders from your iPads and Orders get printed to network printers and data gets synched to the Vigore POS Pro instantly. Available on Apple App store Now! Our way of saying Thanks on the Thanksgiving eve, we upgraded our existing oldest POS system which has been running since 2005 at one of our oldest and loyal Franchise owned “Little Caesars Pizza, CA”. Another Happy Customer, which a Special Gift to our dedicated developers, sales efforts and support staff at AST POS. Our growing list is extremely going fast for this innovative product which is Compact, occupies less counter space, Least amount of spaghetti wires, More secured mount, Industry proven POS look and feel with Modern Tablet sized spill proof screen. The Screen size is same as iPad or Android 10 inch Tablet and overall system height is size of a cover Magazine. It is a product of perfection with Fan-less industrial grade aluminum die cast body design, all POS peripherals and devices supported. It is unique, stylish and Innovative product of the Year from AST ( Amber Systems Technologies ) a POS ( Point of Sales ) leader since last 9 years. We are One of the software developers to launch in 2010 the Worlds First “A complete Android Restaurant App for Dine In, Quick Service, Phone Order and Integrated with our Vigore POS”. 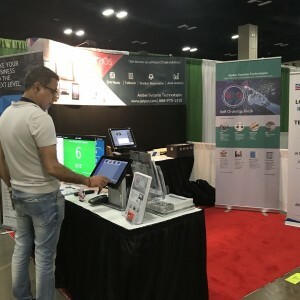 The Epic POS Pro with Vigore has been showcased in the front covers of leading Business Solutions magazine, trade shows and several other sponsored road shows across the nation. August 2013: We were featured in the Business Solutions Magazine in its August 2013 edition. The product was displayed at the RSPA 2013 Show in Las Vegas with Poindus of Taiwan. Several innovative AST products with enhanced features were also showcased at the busy booth. See us on October 16th, 2012 “Culinary Expo” with US Foods Exhibit Hall, Booth #16 at Alameda County Fairgrounds in Pleasanton, CA. Exciting new products to be unveiled at the Show. Register early and do not miss this opportunity. 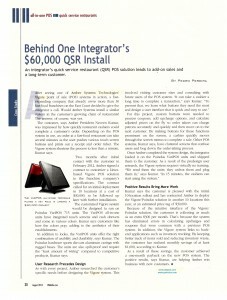 http://www.retailresellernews.com/August_27_2012.htmlA RedFin has been spotted in the POS channel. This upstart, based in Fort Lauderdale, FL, recently made waves with its RedFinPOS offering, which encompasses software developed by Amber Systems Technologies (Pleasanton, CA), as well as hardware supplied by an unnamed domestic terminal supplier. This new solution seeks to address the mid-market space currently dominated by Micros and NCR Aloha, RRN.Com was told by Jeffrey Schultz, CEO/President of RedFin Network, Inc.